Kilo came into the Centre from a multi-cat household. He has had little socialisation so will need a patient owner willing to give him the time he needs to settle. Once you sit in with him for a few moments he will become very affectionate and loves a stroke. 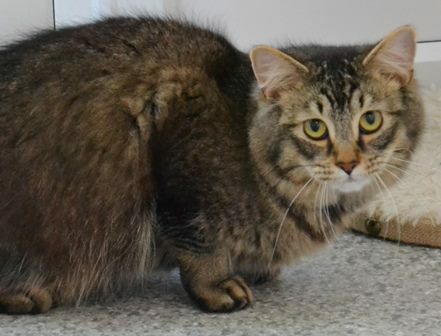 Kilo can be homed with other cats but not dogs. Since being with us he has had upper respiratory and diarrhoea problems but now all resolved.